The import/export tool allows you to transfer information between Method and a spreadsheet. To find out more, please see our article What is the Import / Export tool? 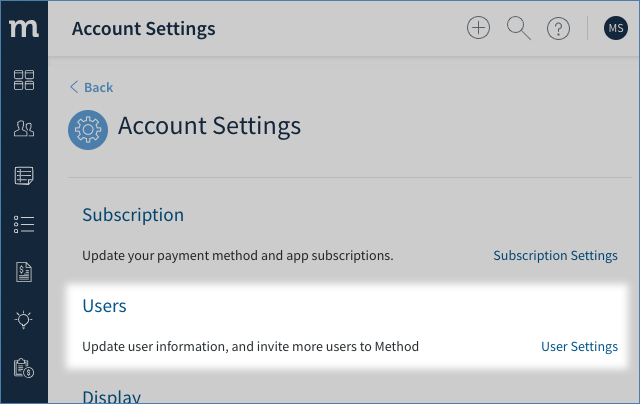 User must be an administrator on the Method account. API (application programming interface) access must be enabled. This article will show you how to grant those permissions. You, of course, will need to be an administrator before granting these permissions. 1. In the upper right corner, click the blue icon and then Account Settings. 2. Click Users for to get into the User Settings. 3. Select the user who needs import or export permissions. In the below image, we will select Mary. 4. 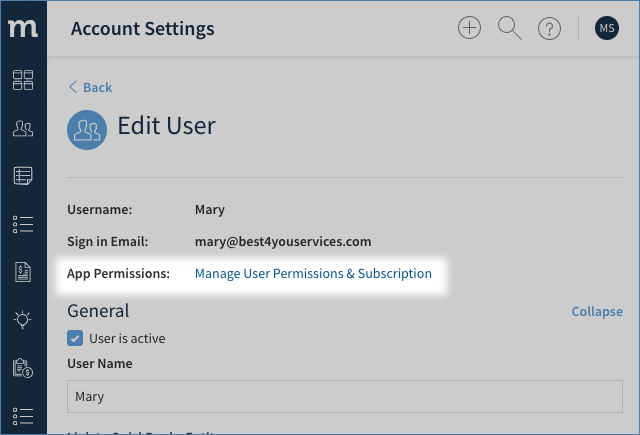 Click Manage User Permissions. 5. Click Give [user] full administrative permissions. 6. Scroll down and click Save to save your changes. 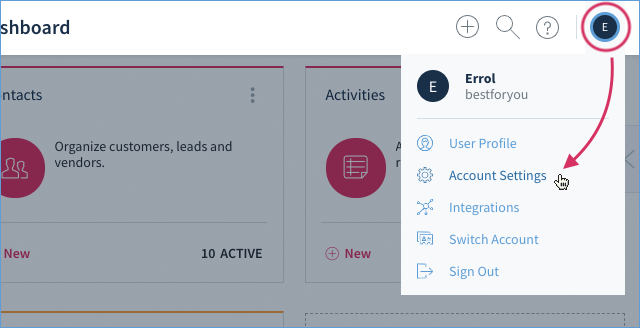 This user now has admin access, which means they will be able to see the Integrations option in their Preferences menu. Method’s API acts as a “bridge” between two programs, allowing information to be passed back and forth as it is in an import or export. A user who wants to make use of that bridge needs API access. 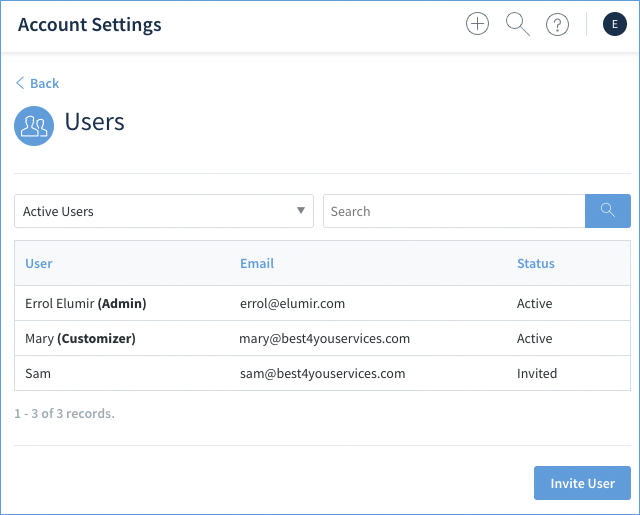 Giving a user administrative access automatically gives them API access as well, but just in case you need to do this manually, here's how. 1. Complete steps 1 - 3 above. 2. Scroll down to Account Permissions and click This user is allowed to connect to Method API.